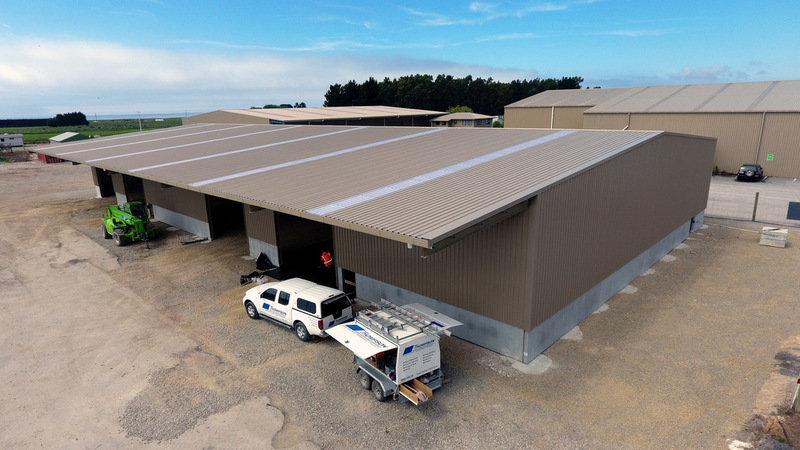 The Alperna storage building located in the Oamaru industrial area marks the fourth Thompson project for Bruce Paton. Construction began on the 1,200m² bulk store in October 2017 and was completed in early 2018. A colour steel iron partition wall separates the internal space into two halves to allow for storage of different products up to a height of five metres. 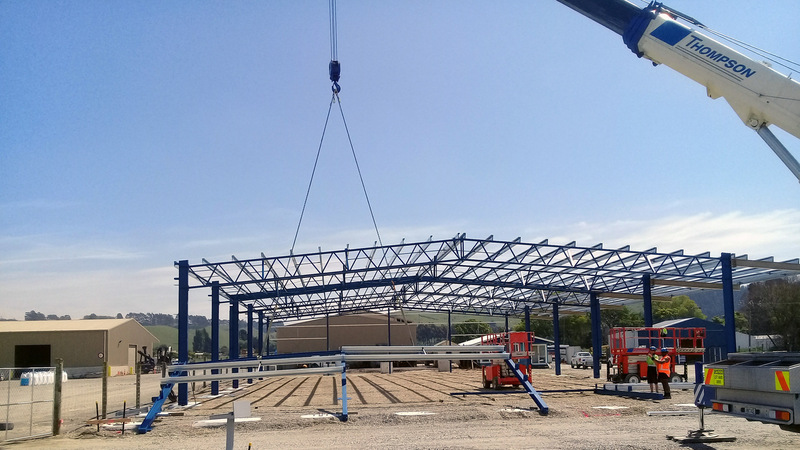 The building features one strip of clear light per bay to allow for maximum indoor daylight, as well as a canopy and concrete apron extending five metres for protection from natural elements when loading and unloading products.